Love this LO! I know we've chatted about it, but I'm back in school for the first one on your list, but I also agree with all of the other ones...especially the last one!!! 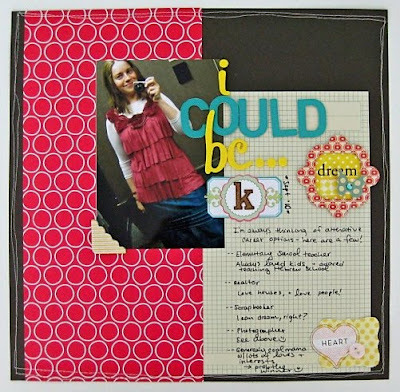 Love that layout and your journaling! Great page! Thanks so much for sharing about your wig. I do love that pic of you! Sending you good vibes on the baby front of things!! Cute layout! 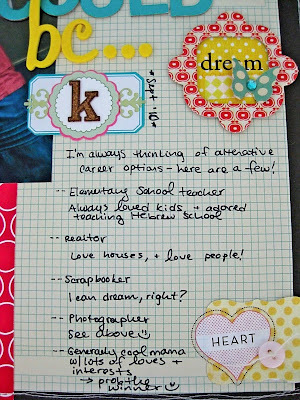 love your hand journaling. Love that layout. My list for "what I could be" would be very long and very thought provoking since I'm unemployed! It is crazy that you have a wig on in that photo! You would never know. Are your wigs all real? (I really have no idea about how wigs work.) Are they really expensive? This is a wonderful layout, I would never think of doing a page about this. Very cute LO..love the shirt in your pic!! My dream job would be a photographer for a travel magazine!! I started going to school to be a travel agent 22 years ago, but life got in the way and now, it's kinda obsolete with the internet and everyone making their own travel plans. Oooh! 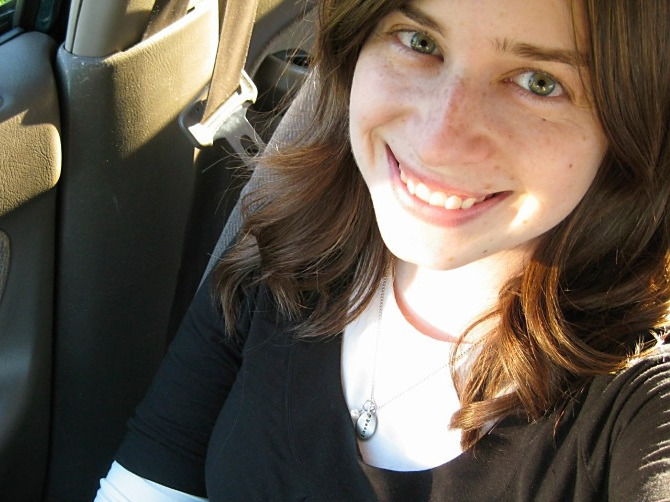 The blog changed again! Looks awesome! And that is a wig? No way! Never would have guessed. :) I love learning about your religion! Really cute page and I wanted to tell you that I love your blog header! so, so cute! I would have never guessed that was a wig either! are generally reimbursed for the date of the next scheduled paycheck.